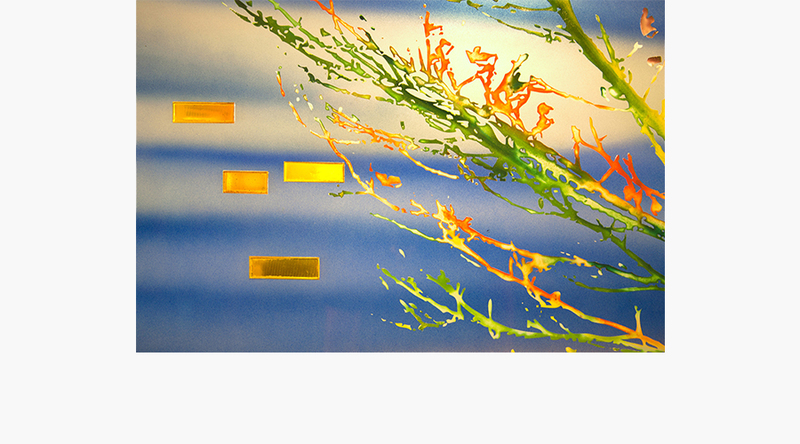 Sarah Hall established her studio in Toronto in 1980. 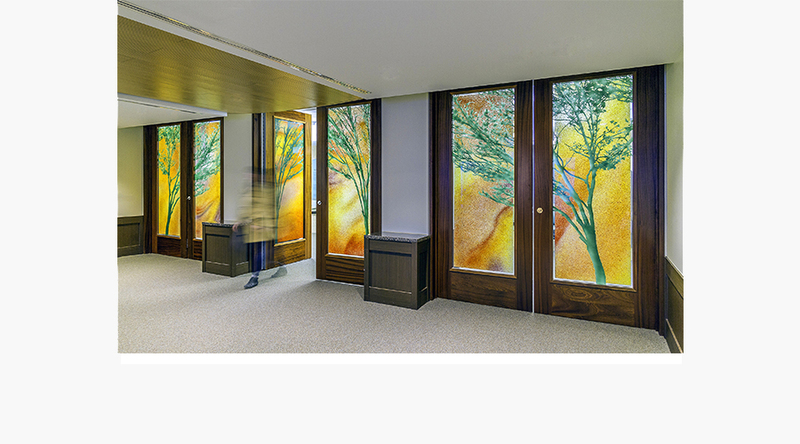 Since then, she has created many architectural glass projects in a variety of buildings throughout North America and Europe. 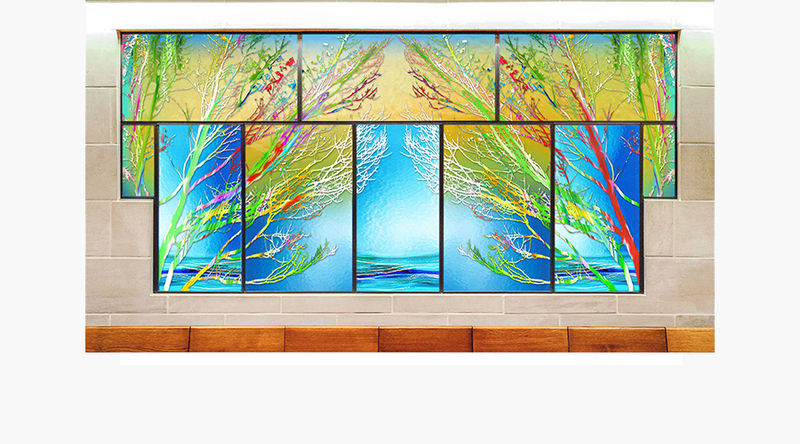 Over the past decade, Sarah has pioneered a new direction in architectural glass by merging artistic glass design with technical innovations related to green building. 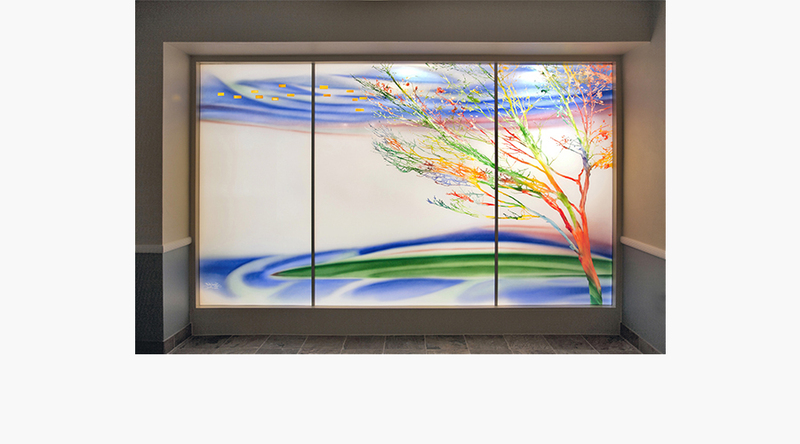 In 2005, Sarah received a Chalmers Fellowship to integrate solar technology into her glass installations. 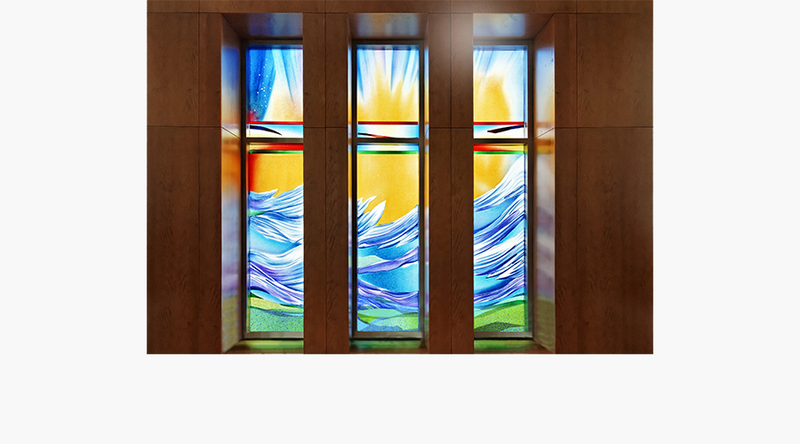 This fusion of art glass and solar energy was the first of its kind in North America, and Sarah has since created ground-breaking works for buildings across the continent. 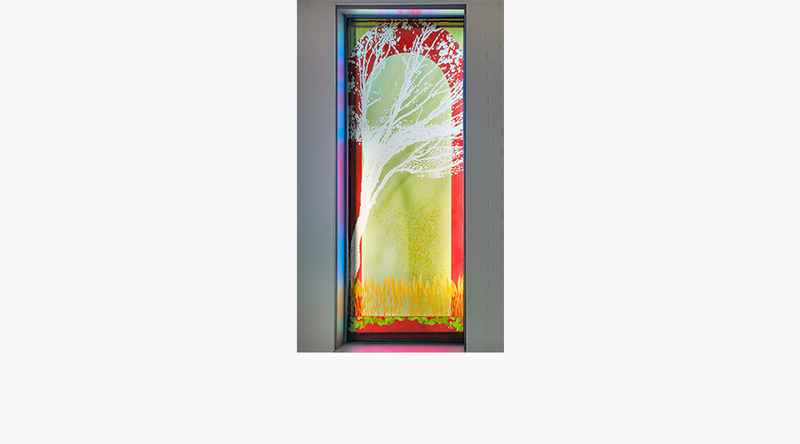 While Sarah is well-known for her solar and environmental projects, she continues to practice innovative approaches to architectural glass through hand painting, air-brushing, etching and laminations, kiln-casting and screen printing. 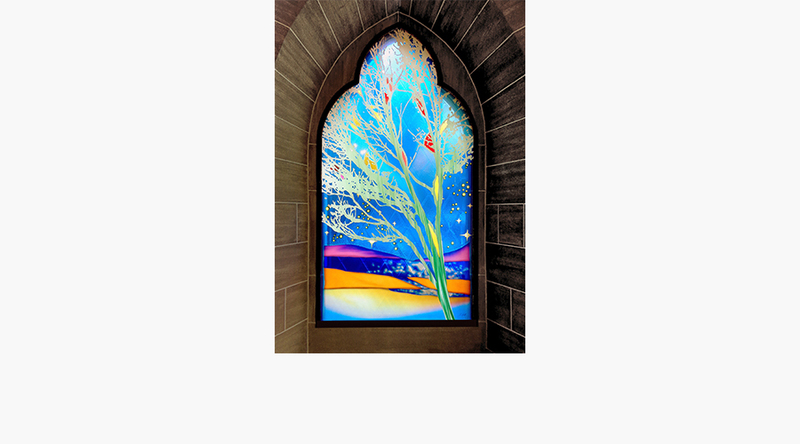 In these works, Sarah creates delicate, ethereal imagery primarily based on sketches from her beloved ravine. 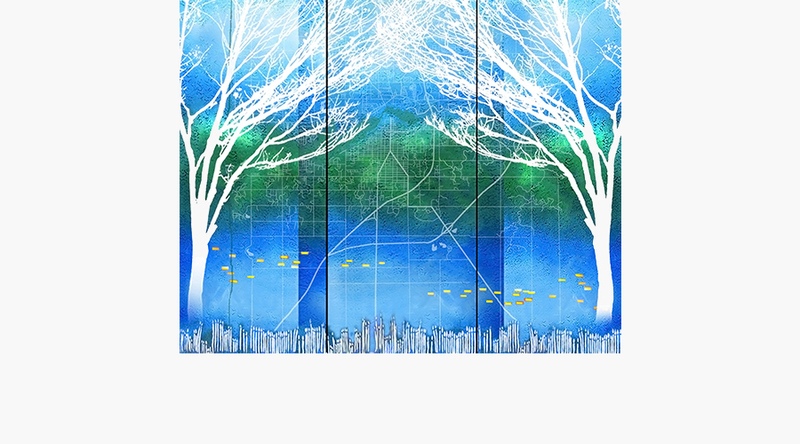 This series of panels explores tree and water forms in a variety of glass techniques; created as both positive and negative imagery. 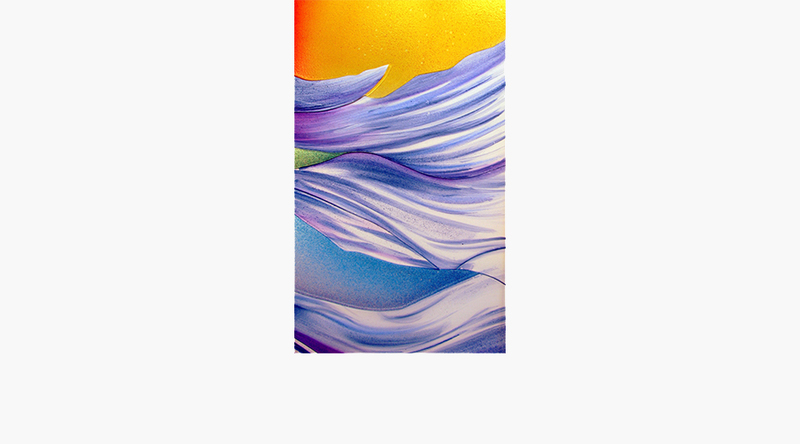 New work and ideas are on the horizon, which will take Sarah into experimental kiln firings and layered techniques.